India's foremost developers Lodha Group launching their new residential project in Lodha Taloja (P51700020373) where they have already delivered two clusters - Jasmine & Tulip and planned to add cluster to it where the project having a tower of 13 storeys. Lodha Golden Dream Taloja is a mixed use township of 46 acres where you get Residential, Retail and Commercial options at one place. The towers are deigned in a way that each floors having 15 residences and the whole project consists of 2500 units of 1, 2 and 3 Bed limited edition typologies. This development will deliver uncompromised quality to residents along with the highest standard of service. Lodha Codename Golden Dream flats will be offered at the estimated price of 30 lacs onwards (approx). According to its launch the possession date can be scheduled for 2025. Lodha Golden Dream is one of the clusters in Lodha Taloja Township in the beauty of smart city overlooking the designer landscape. Codename Golden Dream apartments are created to make ample use of space where it having options to choose from 1 BHK to 3 BHK well architected layouts. The architecture of Golden Dream Taloja is crafted by NBBJ loaded with all latest technologies. NBBJ is the US based Global Architecture, planning and designing company active since 1943 with the tag of world's most innovative companies of Architecture. NBBJ have many branches in the cities like Pune, London, Los Angeles, Shanghai, San Francisco, Seattle, Beijing, Boston, Columbus, New York and Hongkong. The carpet area of these units varies from 280 Sq.ft to 470 Sq.ft approx. 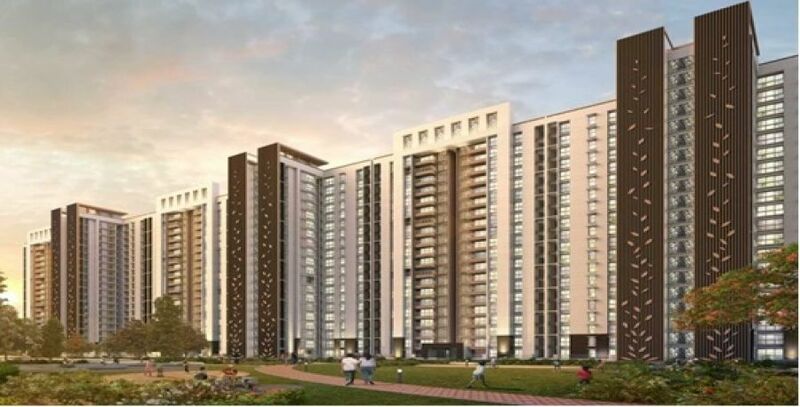 Lodha group soon to start development of its newly introduced project at a developing suburb of Navi Mumbai in the neighbourhood of old Mumbai connects both location conveniently via NH4. CIDCO have planned to develop this location within the short distance from Taloje Panchnad Railway Station with the division of Taloja 1 and Taloja 2. The key USPs of this locality is the Iskon Temple, Golf Course and Asia's largest upcoming central park. Being located on the NH 4 it offers you direct commuting to Kharghar, CBD Belapur, Panvel, Dombivli, Kalyan and Sion Highway, Employment Hubs, Schools, hospitals, recreational places and many essential services in neighbourhood. The reputed real estate developers like Titanium Group, Shree Sawan group and Vijay Group have chosen Taloja for their residential developments. More than 60 projects are being created in Taloja Navi Mumbai and more to be expected by coming years by more reputed developers of India. From the project The Knight Frank Report says Taloja will earn higher percentage of appreciation by the year 2020 so it is surely one of the best opportunities to invest or buy a property in Taloja. Lodha Golden Dream is within the Lodha Taloja Township lies near Lodha Palava Downtown project in front of Prime Square, Taloja, New Mumbai, Maharashtra, India. The time Lodha Group entered construction sector in 1980 their aim was to completely transform Mumbai's skyline by building iconic landmarks at the world class destinations of Mumbai City. Lodha Group's Smart City project Palava City is one of the landmark projects in Mumbai that has changed the living and residential standard of Dombivli beyond Thane. Lodha's vision is to build a better life that meet global standard. Their projects are built on a legacy of trust in past 3 decades. Lodha Group is a Multinational Company as their developments are available in other national and international cities like New York, London, Shanghai, Pune, Dubai and Singapore. Top listed projects of Lodha include Trump Tower, Lodha Eternis, Lodha Altia, Lodha Amara, Lodha Splendora, Lodha Altamount and the list goes on.